Finally after much delay in doing a round up just because I thought I might do some more, I have the round ready. It was a fun filled vacation this time. We ended up doing lot of activities with the kids. My Nieces and Nephew stayed for a week and it was fun overload through the week. More so because Peddu and Chinnu stay back through the week. Coming to the round up, the entries sure have me all bookmarked for trying it myself. The next theme will be annouced shortly. Lets go ahead with the entries! I am sure many of you know Asha, she makes sure every comment of her’s is as personalized and encouraging. 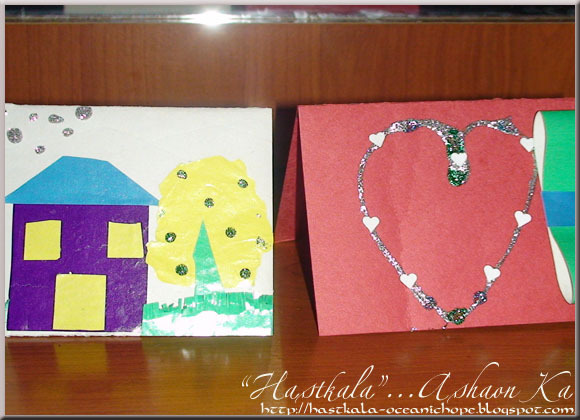 Its no wonder that she sends us cards that can kids can make to give a personal touch. This sure is an awesome way to get the kids interested in something very useful! Alka’s son Yash is as talented as the mother if not better..:) He rolls out parathas like a pro and gets such tempting desserts out. 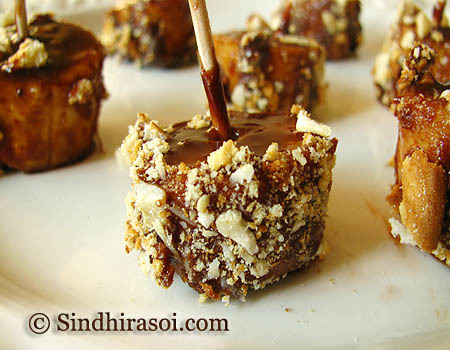 This Choco Banana Delight is a sure die for not only for the kids but for us too. Seeing these delight Marie Delight from Niloufer, one wouldn’t assume it has such a lovely tale behind! 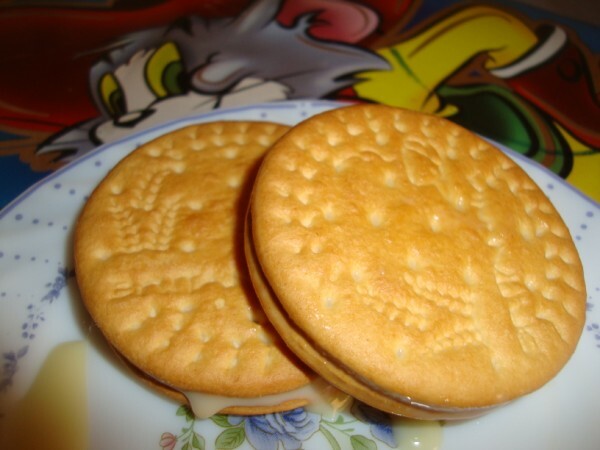 Read on as she spins a tale and how she gets her son help her in making these! Knowing that Meera’s daughter shares her mom’s talent, I sent in a mail asking Meera to send in something that her daughter helped her prepare. Little did I know that they will plan such a wonderful treat for me! 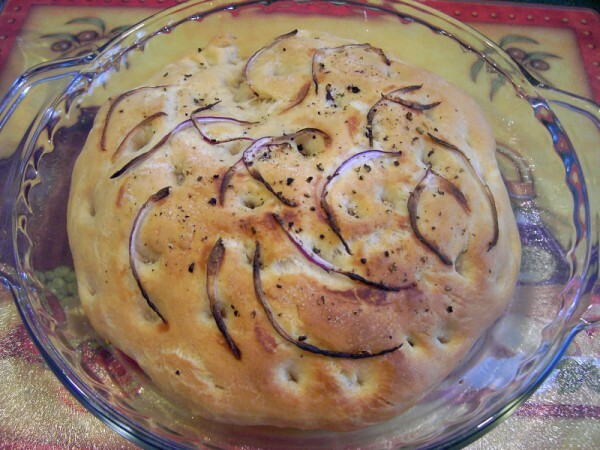 This Onion focaccia left me craving for one! 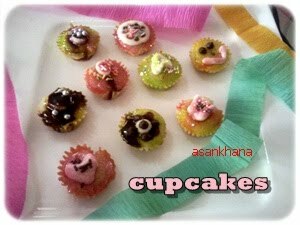 Priyanka gets her son help her in decorating the cupcakes and seeing the result I was sure I won’t have been able to do them so well! 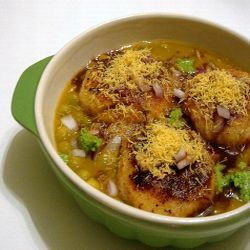 Mansi sends this beautiful plate of Ragda Patties which sure proves to be a wonderful dish to get the kids involved. 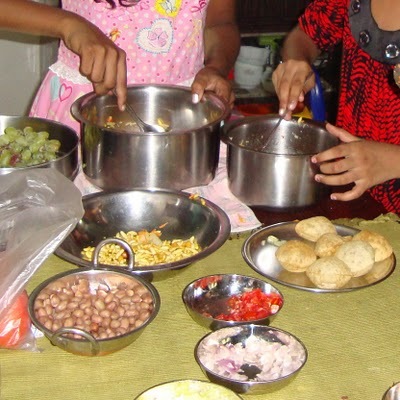 Give them the boiled pototoes and forget about the mess. You sure will have a faithful follower! Finally my own entries Bhel Puri made at home by Konda and her friend. 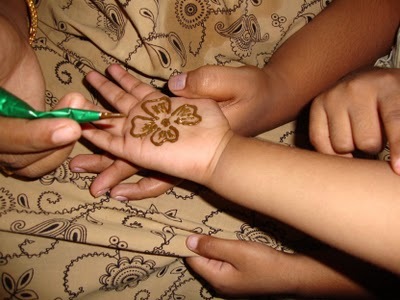 And the mehendi done to the kids which sure is another wonderful way to get the kids use their creativity and of course get them engrossed and stayed put for few hours! I hope I have not missed out any entry, my aplogies if I have missed, but do let me know right away! Another day to go for the Thanda Mela to reach me! Blogging Marathon # 42 – 3 Day Marathon for 4 weeks! Blogging Marathon #5 – 7 Day Marathon! Now how come i didn't know aobut this even. I love all the entries. the kids and moms shared. How could I miss this event!!!! 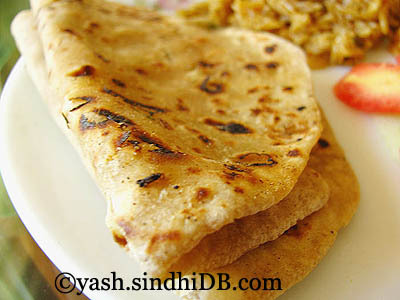 last week, My daughter prepared chapatis and she prepared omelet, She made beautiful card for our wedding anniversary!!! Lovely round-up,lovely enteries.I wasn't much aware you have a nice place here.Will check more often. Lovely roundup, sorry couldnt able to send anything:)as my daughter got hooked with her trips and exams..
Dear Srivalli thank you for visiting my blog and for your nice words.Do try the barley kanji,you will love it.